Serving our community since 1984. Thank you for visiting our website. We are a full service locksmith company. Our goal is to provide prompt, professional and courteous service with a smile. We aim to leave our customers with a total sense of satisfaction. 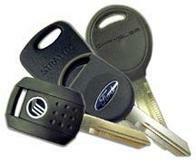 We specialize in, commercial and automotive locksmithing. We also sell and service safes. We like to call ourselves "The Problem Solvers" because we seldom come across a problem that we cannot solve.